Madhvi has a Master’s in psychology and got involved in Gitanjali Group of Schools (run by her mother, Gita Karan) in 1997 when Gitanjali Devshala was started. She is currently the Principal of the latter. Today there are four respected, award-winning schools in the twin cities under the Gitanjali banner. 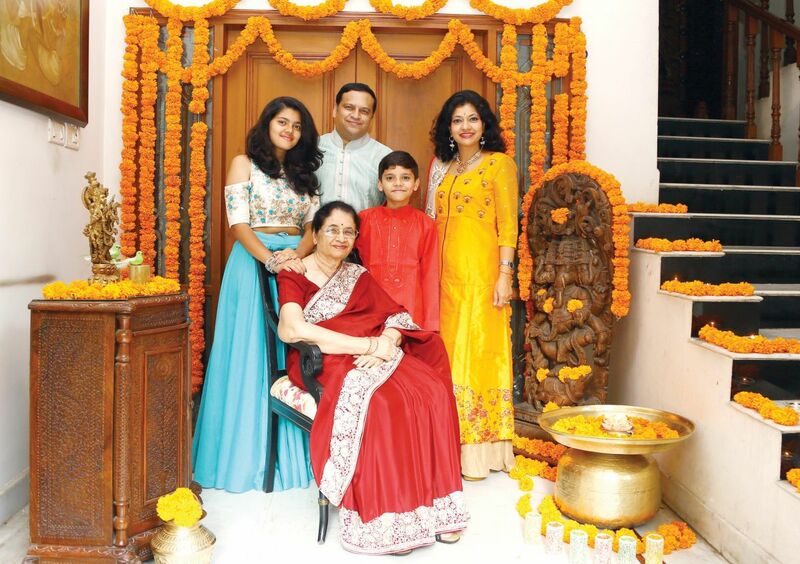 Madhvi and her family celebrate Diwali with the yearly Diwali cleaning, during which they get rid of all that is unwanted, and therefore symbolically rid themselves of all the excess baggage that tends to be carried throughout the year. 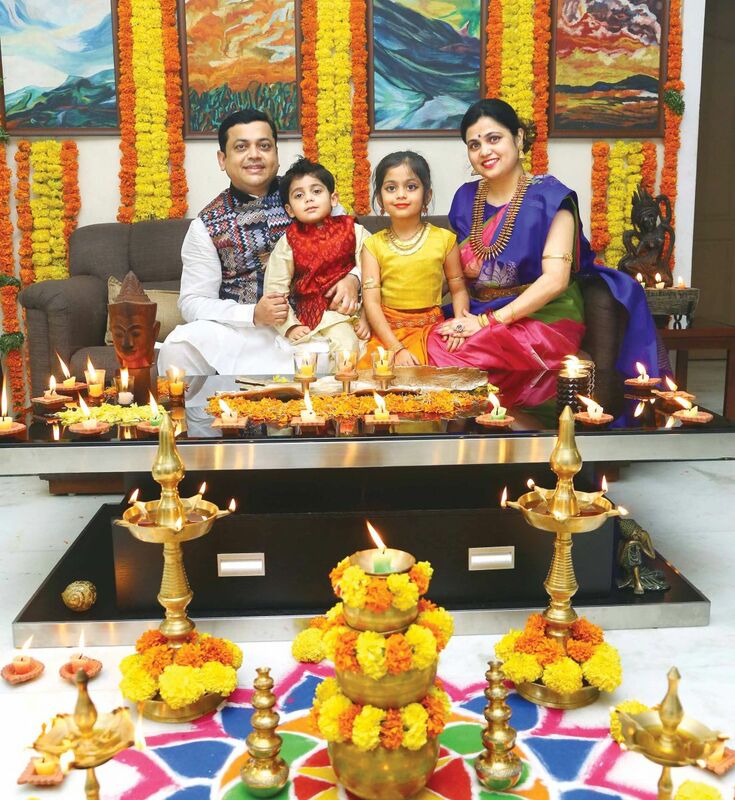 For the family, the day of Diwali is always busy with the puja, gifting, flower decorations, diyas and candles, crackers and visiting elders to seek their blessings. Their day ends with a big fat celebratory get-together with family and friends. Shailu jokingly calls herself a jack-of-all-trades and master of none, as she dabbles in a range of things in her life. She worked in the television industry as a creative director for five years, before moving into costume designing and associate producing for movies. 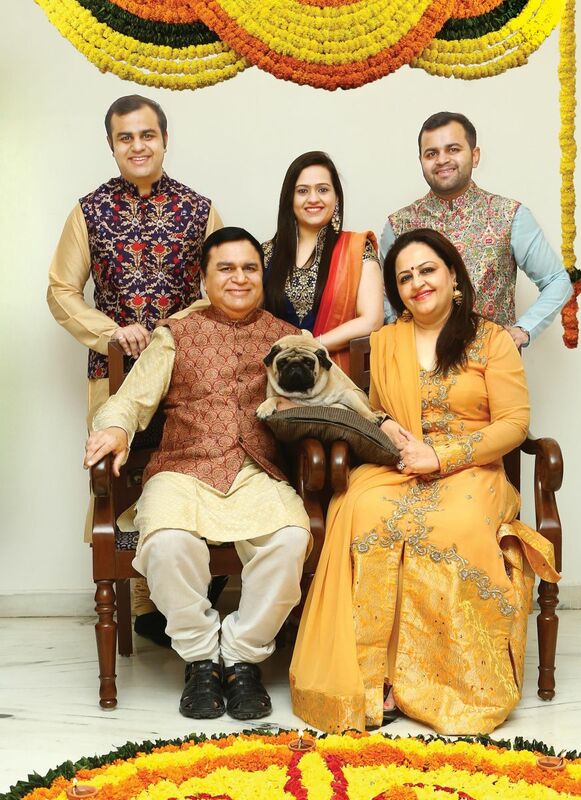 For the Reddys, Diwali is always celebrated in a traditional manner, where family is priority and a few close friends always make it a point to join them. Shailu says, “I was born and raised in Chennai. 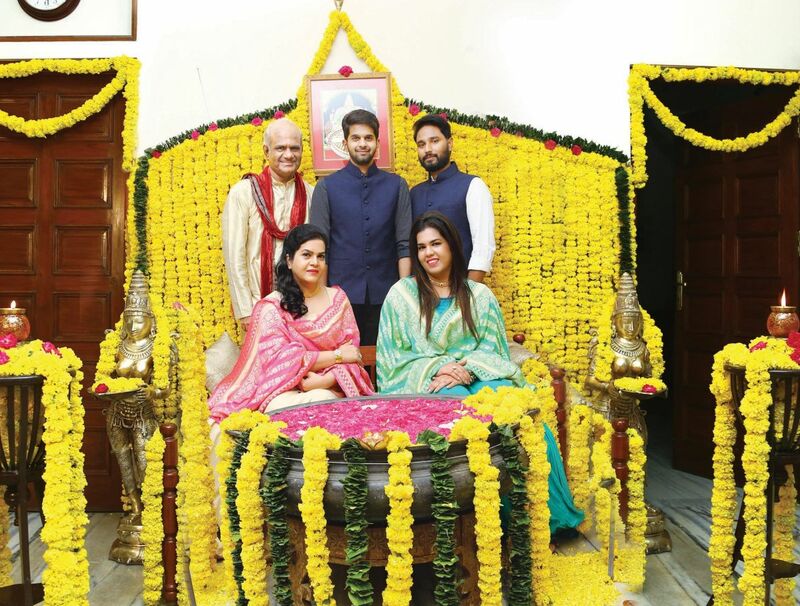 Diwali was always a traditional practice, like waking up very early and following rituals like oil bath and bursting crackers to evoke the Goddess Lakshmi.” This year’s Diwali is particularly special since her son and daughter are home for the festival after three years. Mrudula is a physiotherapy consultant with specialisation in orthopaedic rehabilitation, and is working as the head of department of rehabilitation at Century Super Specialty Hospital, Hyderabad. Ravi is a chartered accountant working as a principal consultant at Infor Global Solutions. 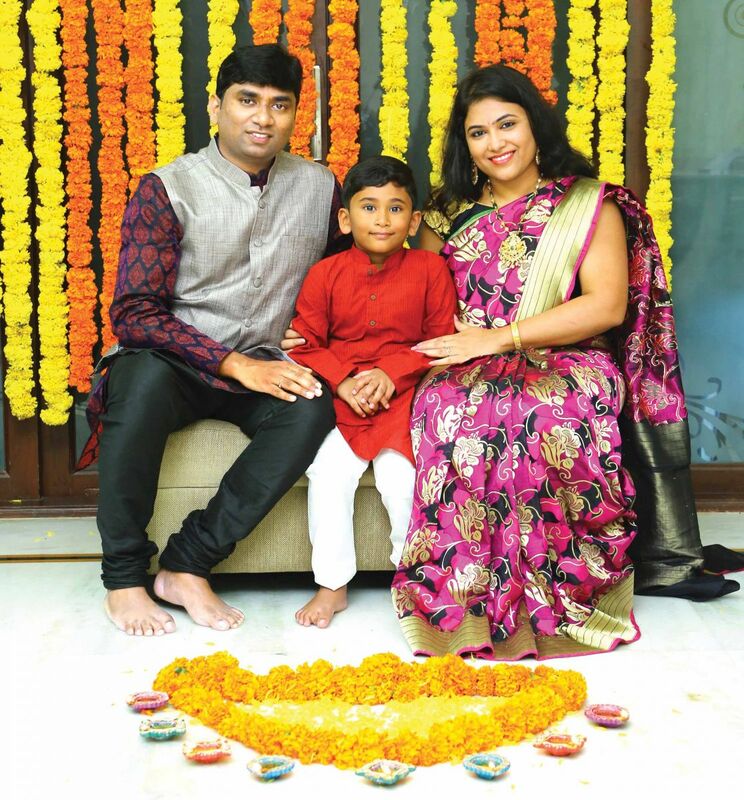 Mrudula celebrates Diwali with her family by decorating the house with marigold flowers, lighting earthenware oil lamps, making rangoli, and performing Mahalaksmi and Ganesh pujas. She says, “Diwali is regarded as ‘the festival of lights’ as on this day we illuminate our home and offices with diyas and colourful lights. This festival literally illumines our lives with its brilliance, and dazzles us with its joy.” In the Kodipaka home, Diwali is celebrated over three days with the purchase of new clothes, jewellery, crackers, and décor for their home, followed by Lakshmi puja. Then they leave the doors, windows, and gates of their home open so that Goddess Lakshmi can enter and bless the family. 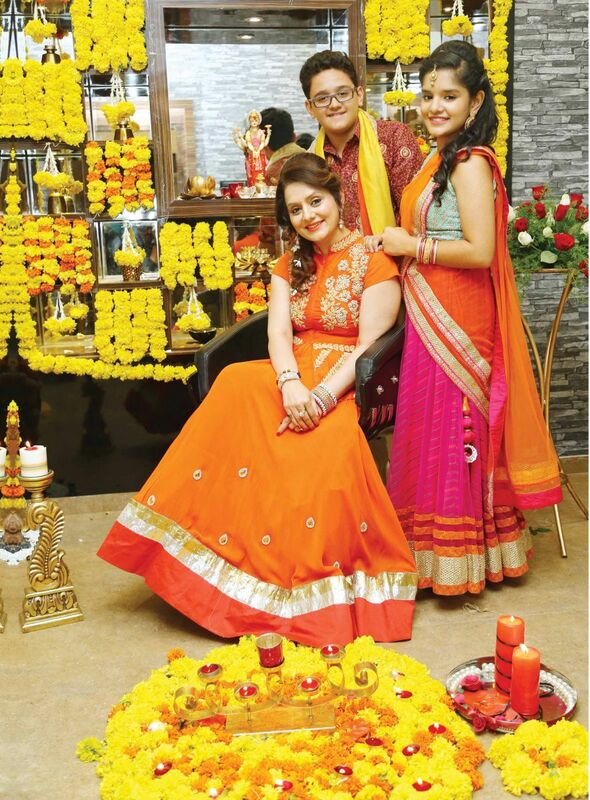 Diwali for the Reddys is synonymous with family bonding; all their relatives and cousins come together for some quality family time. Lights, colourful decorations, crackers, sweets, gifts, and great food are the highlights of the evening. Swetha goes on to say, “Usually my father-In-law, Maruthi Reddy, gets everyone together to celebrate the festival in a grand way beginning with Lakshmi puja followed by bursting crackers, a lavish dinner, and some enjoyable moments.” Swetha is a fashion designer and consultant who has an innate flair and passion for design and has channelled this creativity into opening an eponymous store, “Swetha Reddy”. She says, “For me Diwali is the most awaited festival of the year as it’s the time when everyone comes together for a fun filled evening. All our staff and helpers get Diwali bonus and gifts for themselves and their families too.” The day of Diwali begins with decorating the house with flowers and lights, and the entire day is about family and having a good time. 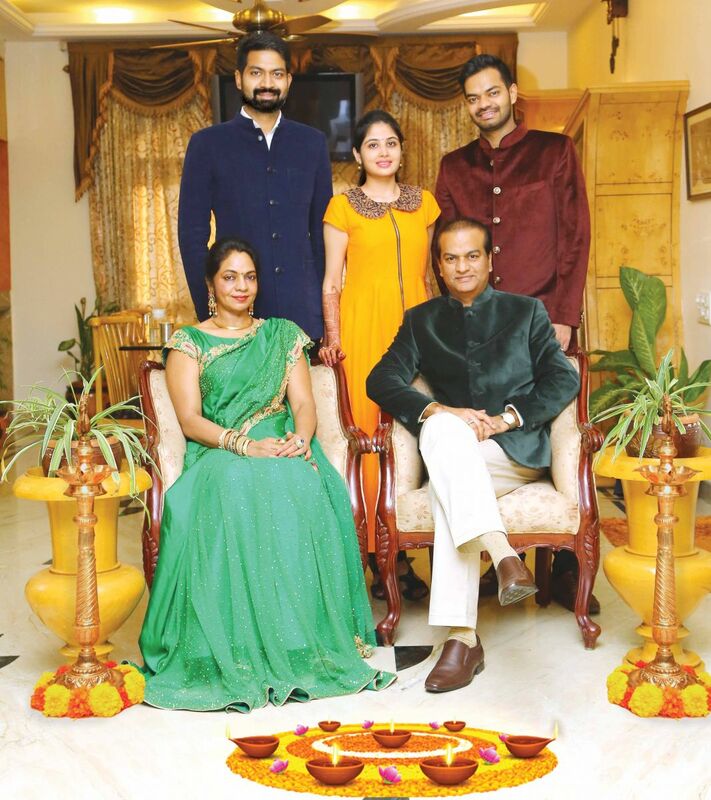 The Reddy’s are also altruistic during the festive season and they give sweets and crackers to underprivileged children in orphanages across the city. a multi-cultural couple, they have all kinds of food preparations at home, where friends and family drop in for an evening of great food and light-hearted gambling. 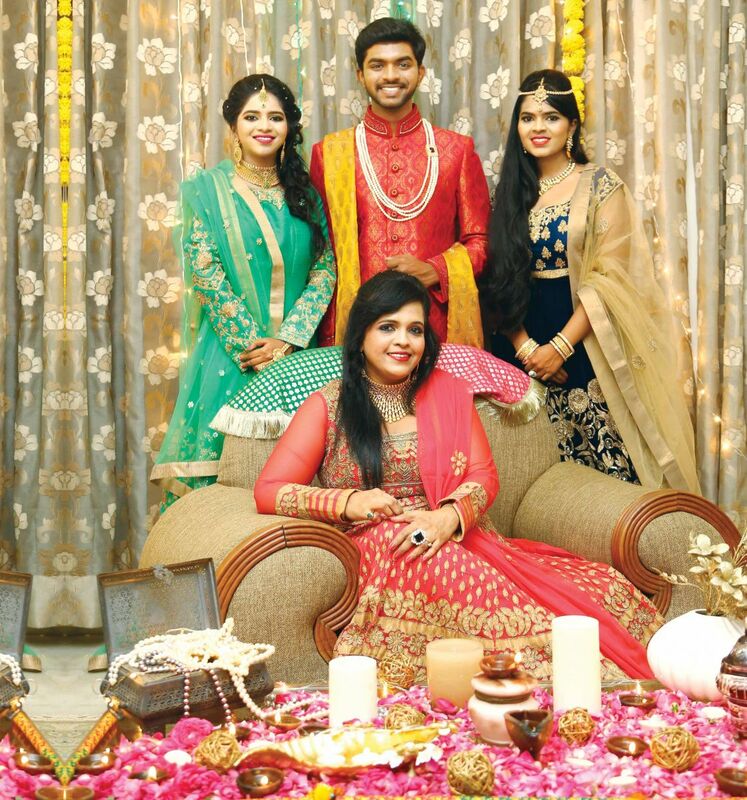 The festival is all about decadent fun for this fun-loving family. Dr Shirisha is a consultant radiologist and head of women’s imaging at Century Hospital. Dr Ranjith Kumar is a consultant cardiologist at Care Hospital. For this doctor couple, Diwali this year is extra special, since it happens to fall on Shirisha’s birthday. 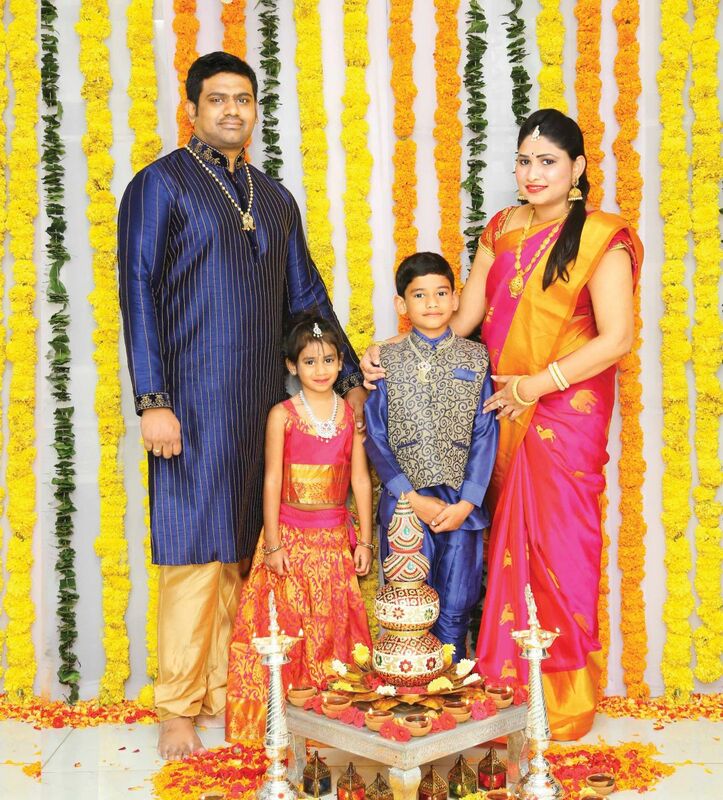 The family celebrates the Festival of Lights and joy by welcoming Goddess Lakshmi into their home. A day prior to the festival, they clean and brighten their home, and decorate it with flowers, diyas and beautiful lights. On the festival, they enjoy the day with a cosy family get-together, enjoying the evening with silent crackers. Bina comes from a multicultural background and therefore celebrates Diwali and Christmas with equal fervour. Bina is a busy social activist and homemaker. 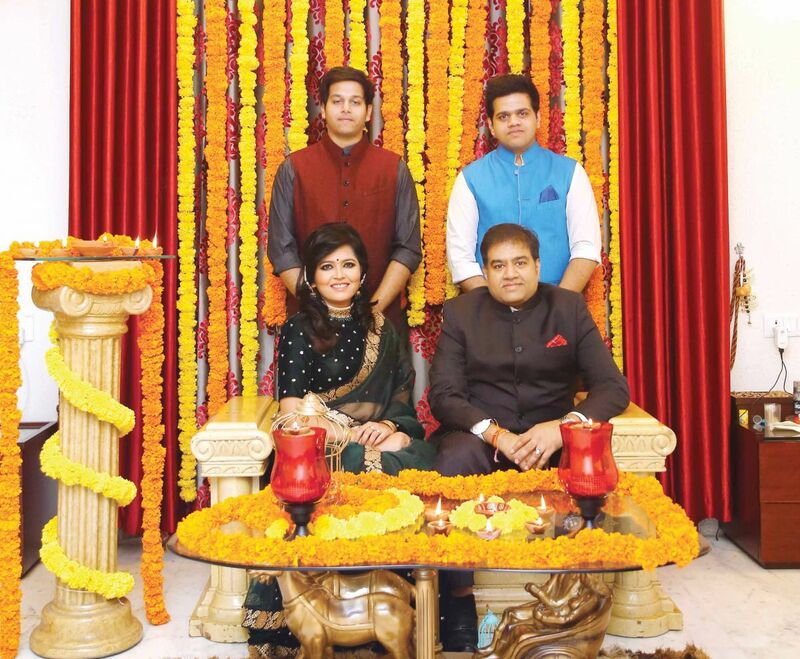 The lights, diyas and sweets are some of the family’s favourite things about the festive season. 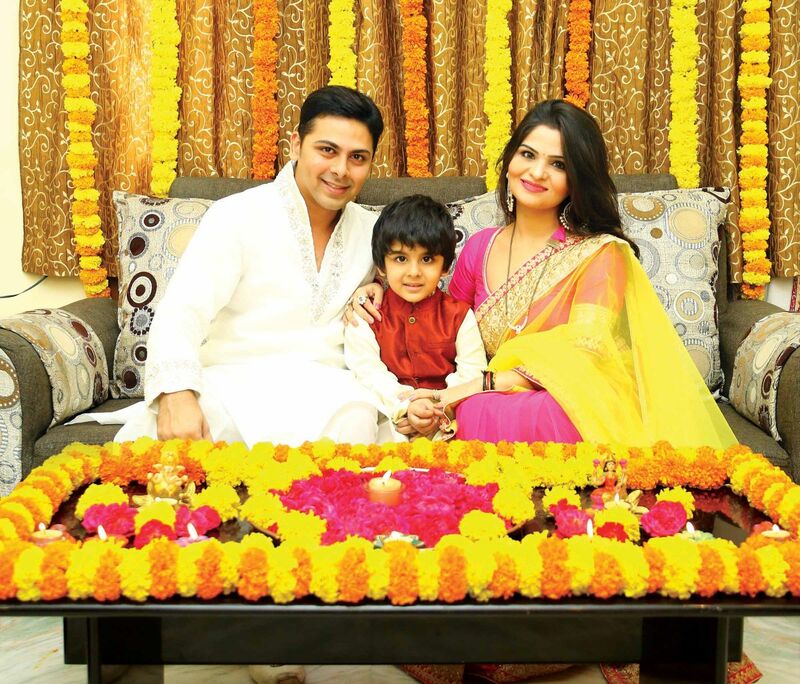 The Singhs enjoy celebrating Diwali in an eco-friendly way. Bina says, “We try to go slow on the amount of crackers we burst, keeping in mind the health of children, our pets and street dogs. A greener, pollution-free Diwali never hurts, a little bit of effort is all we need,” she says, adding that she hopes to look up and see the sky, not just fog. “I hope good triumphs over evil and we see a greener Hyderabad soon. This Diwali we are gifting a year’s supply of books and stationery at an orphanage,” she concludes.